This paper argues that participation and transparency are key principles for robust, effective, and inclusive accountability mechanisms for the Post-2015 framework at all levels – from the local through to the global. 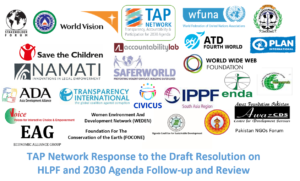 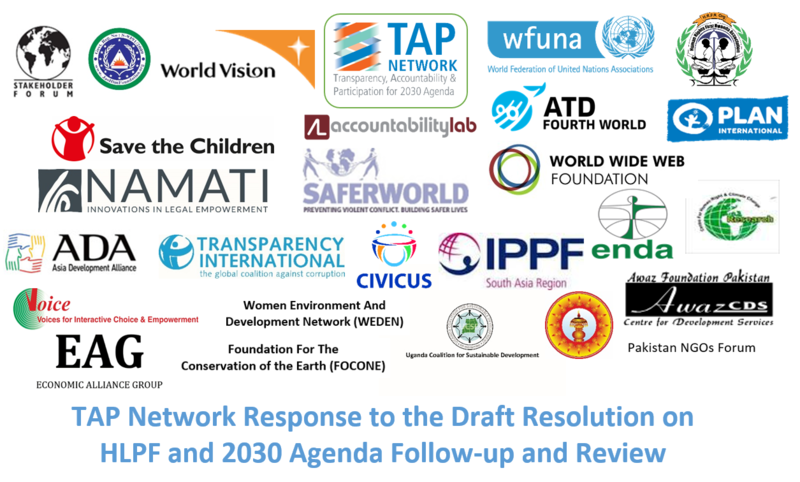 If we have meaningful participation and transparency in place, then the Post-2015 ‘follow-up and review’ mechanisms should be able to deliver real accountability for the SDGs. 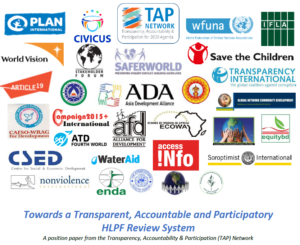 For those of you who would like to endorse this position paper through your organization, please simply fill out the information below and forward your logo to John Romano at romano@wfuna.org and Liam Kincaid at kincaid@wfuna.org with your logo attached so we can include it on the paper.